The Island's Kevin Le Blanc is just one stroke off the pace entering the final round of the Junior Open Championship at West Lancs. The Boys international added a three over 75 to his opening 72 to end the day in three way tie for third place on three over par. Italy's Teodoro Soldati (70) and Belgium's Dianne Baillieux (71) leads on two over par from Le Blanc, Peru's Felipe Strobach and Sweden's Hugo Townsend with Killarney's Valerie Clancy (84) tied for 77th. Cian McNamara remains the only Irish winner of event, which he captured at Royal Musselburgh in 2002. 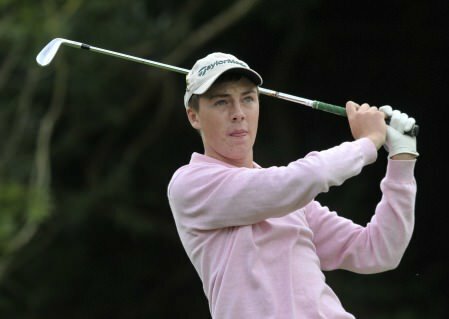 Hometown hero Kevin Le Blanc, who won the Junior Open Championship last week at West Lancs in what was the start of a great week for Irish golf, will be present among the Leinster Boys team who are looking for a three-in-a-row victory at the Boys Interprovincial Championship this week. The Island's Kevin LeBlanc got Open week off to the perfect start when he become just the second Irish winner of the Junior Open.